In this provocative and accessible book, the author defends a pro-choice perspective but also takes seriously pro-life concerns about the moral value of the human fetus, questioning whether a fetus is nothing more than "mere tissue." She examines the legal status of the fetus in the recent Personhood Amendments in state legislatures and in Supreme Court decisions and asks whether Roe v. Wade should have focused on the viability of the fetus or on the bodily integrity of the woman. Manninen approaches the abortion controversy through a variety of perspectives and ethical frameworks. She addresses the social circumstances that influence many women's decision to abort and considers whether we believe that there are good and bad reasons to abort. Manninen also looks at the call for post-abortion fetal grieving rituals for women who desire them and the attempt to make room in the pro-choice position for the views of prospective fathers. The author spells out how the two sides demonize each other and proposes ways to find degrees of convergence between the seemingly intractable positions. Bertha Alvarez Manninen is Associate Professor of Philosophy at Arizona State University. 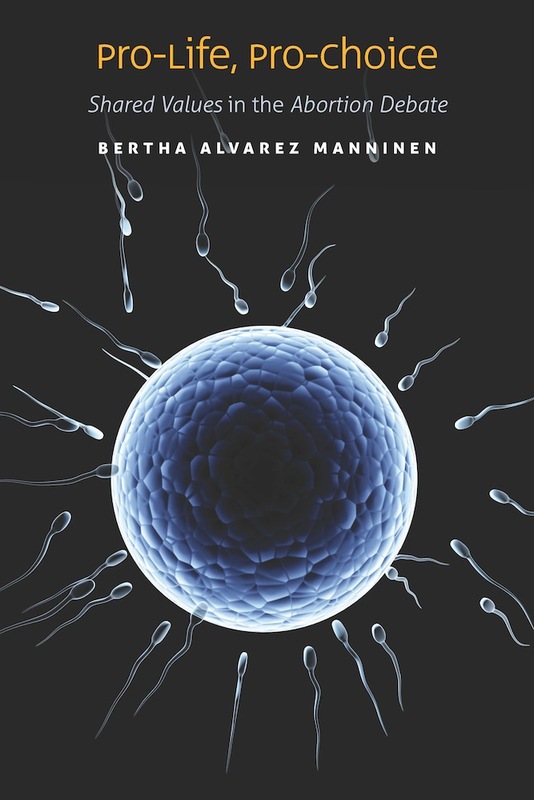 "In Pro-Life, Pro-Choice, Bertha Alvarez Manninen delicately explores the ethics of abortion, believing that a majority of men and women of all ages are tired of the traditional abortion rhetoric. [...] Heady, challenging stuff, to be sure, but her book is an important step in moving the conversation along." "Bertha Alvarez Manninen takes on the challenging, controversial, and emotionally-fraught task of defending women's right to reproductive choice while at the same time supporting--for both pragmatic and moral reasons--the value of the human fetus. Passionately written, this book is the result of an uncompromising dedication to pursuing and assessing the complex and difficult implications of these two commitments. Manninen rejects the vituperation and the absolutes that characterize much public debate about abortion, preferring instead to grapple with the deep ambiguities of abortion choices and their implications for our understandings of relationships, moral rights, and personhood. Pro-Life, Pro-Choice is both personal and political; it makes a convincing case for the existence of key common values that motivate those who otherwise continue to disagree about the morality of abortion. This is a fascinating philosophical investigation, which I will recommend to students and colleagues and use to further my own thinking about procreative ethics."